Vacancies that go unfilled because employers can’t find workers with the right skills are a “growing challenge”, a survey of more than 91,000 employers has revealed. The Employer Skills Survey (ESS) 2015, published today by the UK Commission on Employment and Skills (UKCES), found that 23 per cent of vacancies went unfilled because of skills shortages – a proportion that has not changed since 2013, despite a 42 per cent growth in the number of vacancies in the UK overall. 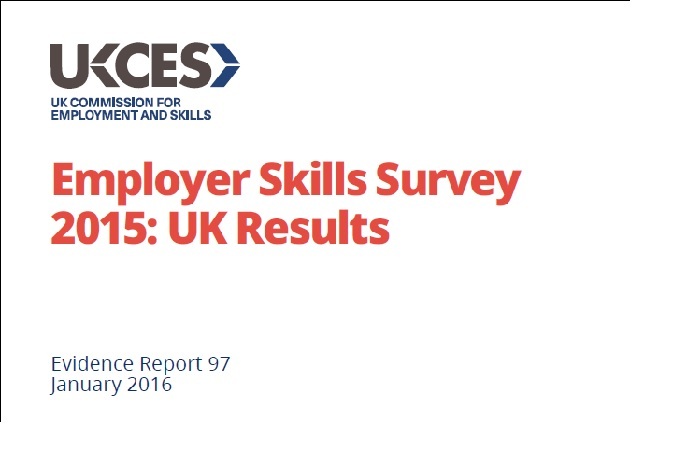 “This year’s survey points to continued growth in recruitment,” Douglas McCormick, UKCES commissioner, wrote in his foreword to the survey. The 243-page report, made up of interviews with businesses across all sectors of the UK, revealed that jobs in skilled trades, machine operating and professional roles were most affected. Reading, writing and numeracy were among the skills the employers said prospective employees were lacking, with around 25 per cent of applicants falling short in those areas. The skills gap within employment has fallen since 2013, but 14 per cent of employers still report that they have employees who don’t have all the skills they need to do their job. Claudia Harris, chief executive of the government funded Careers and Enterprise Company said: “Since UKCES’s last survey, the UK has left recession and is enjoying a fairly sustained period of growth; yet youth unemployment remains three times the average. David Hughes, chief executive of the Learning and Work Institute described these latest figures on skills shortages as “alarming”. “This research sends important messages to employers, the government and to people interested in careers,” he said. When asked about the UKCES findings a spokesperson for the Department for Business, Innovation and Skills said: “We want to equip young people with the skills they need to succeed and give businesses the talent they need to grow. If 3m apprentice places are critical why are the government departments preventing / delaying the funding for these 16-18 apprentice places reaching the training providers? There needs to be a change in attitude around education and training in the UK if we are to close the skills gap and boost productivity. This survey shows that skills shortages are continuing to rise, with a large number of job vacancies due to skills shortages in areas such as construction, transport and manufacturing. If the UK is to tackle these skills gaps and boost productivity we need to ensure there are sufficient technical and professional options at higher levels as well as traditional three-year university degrees. One of the essential elements of a sustainable economic recovery is to ensure that everyone has a well-rounded mix of employability skills which includes soft skills. Our further education colleges prepare people with the skills for the workplace through expert teachers, industry-standard facilities and a close on-going relationship with local employers of all sizes. I would question why employers are reluctant to train employees with potential. Some of the gaps are soft skills- we help with those http://www.gradstrategy.com. Other issues stem from poor job descriptions that are so specific and discourage inclusion. The other issue is young people not being aware of certain roles through further and higher education channels. Again we run a great mentoring scheme to address this. We are always welcoming new mentors. In my experience many companies say they are “committed to training and developing their staff” yet in practice they do very little. When you ask to go on a course you are told you cannot be released. When you want to do a highly relevant distance learning course you are told the budget cannot stretch far enough to pay for this. The companies claiming skill shortages need to INVEST in training and development of new and existing staff – but directors do not want to do this in case it reduces their bonus or next pay rise; it is easier and cheaper to just moan about the availability of skilled & trained people.